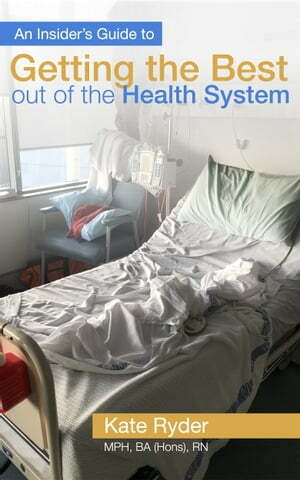 Collins Booksellers - An Insider's Guide To Getting The Best Out Of The Health System by Kate Ryder, 9781925353310. Buy this book online. At some stage all of us go into the health system but almost all of us know little about it. It doesn’t come with a user’s guide. Australia has an excellent health system but even the best doctors and nurses make mistakes. ~ So how should we choose a doctor? ~ What sort of questions should a patient ask? ~ How do we decide if a course of treatment is best? ~ Is the doctor always right? ~ If we are going into hospital, what do we need to know? ~ What are our rights? ~ What should we watch out for? "Kate Ryder, a hugely experienced health care professional, has seen and investigated the very best and the very worst aspects of our health care. Her new book is Australia’s very first patient’s manual. It’s one of those books you won’t realise you absolutely need until you’ve read it. She presents an entertaining, clever, and easy to understand summary of the cold, hard, facts that any patient needs. It is such a clever idea for a book that it should have been written decades ago. Anyone contemplating medical treatment should read it. "Kate takes the reader, in often fascinating detail, through every possible query anyone might have about obtaining medical treatment. In an entertaining way, she arms the reader with the right checklists and warnings about what to watch out for. Medical errors kill an estimated 18,000 people a year in Australia; rates of permanent injury or disability top 50,000 people. "Kate Ryder’s &apos;An Insider’s Guide to Getting the Best out of the Health System&apos; may well save lives."